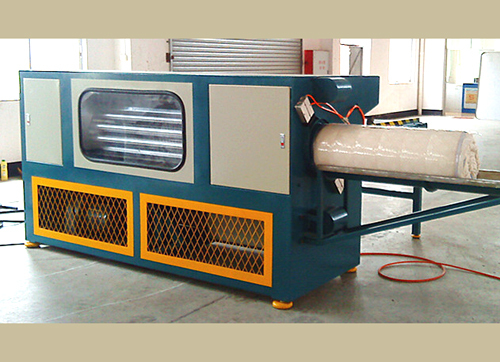 This machine is specialized in rolling packing the foam mattress which density is equal or less than 30kgs/m3. 1. High production efficiency: It takes 35～40seconds to finish one foam mattress rolling packing into the plastic bag. 2. 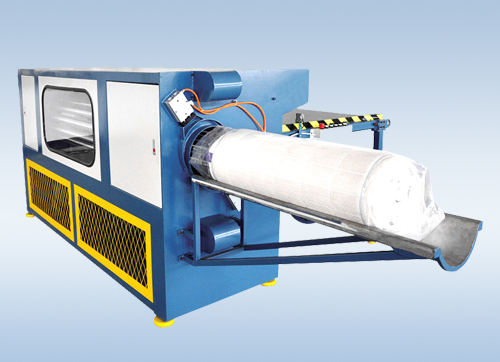 Simple operation: It will be automatic rolling packing if you put on the foam mattress and plastic bag and then push one button. The worker can operate the machine skillful after few minutes training. 3. Low packing cost: It needs one PVC or PE bag of diameter 350mm(approx.) to pack one foam mattress. 4. 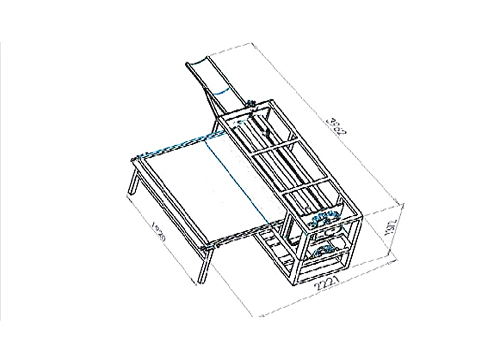 The volume of foam mattress can be reduced greatly after rolling packing. Thereby the cost of transport and storage can be much lower. 5. The machine is compact and convenient to installation and maintain.